hawwa, etc: discussion: do you write in books? i never used to write in books. before, books (for me at least) were meant to be kept pristine and neat, they were (and still are) colour coded on my bookshelf, i would get annoyed whenever anyone borrowed one of my books and dog-eared a page or cracked the spine. books were both collectable items and enjoyable pieces of creativity. i did not like 'ruining' my books. but what does 'ruined' relate to when talking about books? is 'ruining' breaking the spine by accident, or highlighting a quote that means something to you? or is that just 'loving'. before the difference between 'ruining' and 'loving' my books was as huge as donald trump's wall he keeps talking about building, but now i'm not so sure. i think studying english at college changed my perception, or maybe pinterest and all those aesthetically pleasing photos of highlighted and underlined books that are scattered around. whatever the reason my mindset changed (it had to - when analysing books, annotation was key) and now my hands itch to write all over my books and highlight them and mark them as a personal possession rather than as a distant inanimate object that i own. flicking through books in a charity shop is always exciting because sometimes you'll find a book that has writing in it, or underlined paragraphs and you'll wonder why they were marked, what the reader was thinking when they did that - what the story behind this particular book is for them. so i think that's why i've changed my perception of treating books -i don't want mine to remind bland, i want to look back at them in years to come and be able to see the signs of a well-loved and well read book that has a whole message within it's pages of what it meant to me, and what i enjoyed about it. i don't just want to have a shelf full of books that still look brand new and untouched - because what's the fun in that. what do you think? 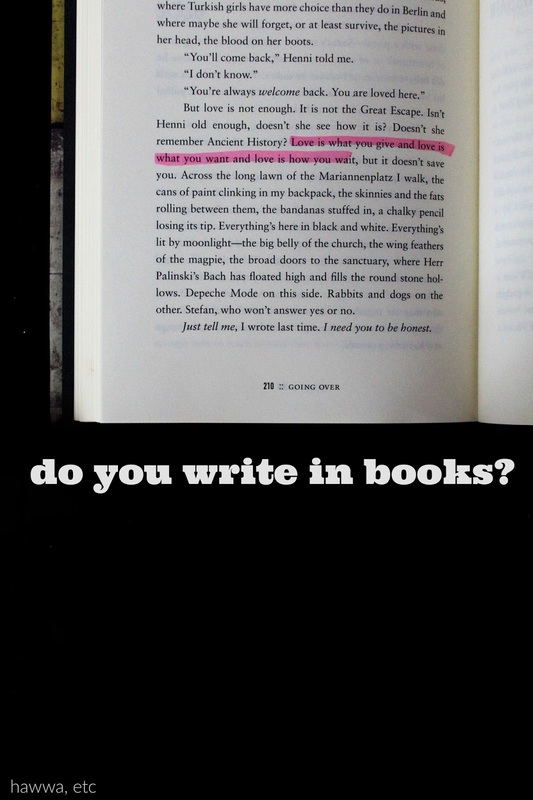 do you write/highlight in books? if yes, why? and if not, why? OK OK SAFAH, I get it, milk and honey. I'VE WANTED IT FOR AGES but i finally got a job (yesss) so hopefully, after i've worked there for a bit and had my first payday I WILL DEFINITELY BUY IT. Can you believe I don't actually own any poetry books yet - it's tragic. I'll look out for that review- also how come only poetry books and not novels though? I also used to think books were these objects that deserved to be placed in an altar and must be kept in clean, dog-ear free pages. That was then...but now things have changed drastically ever since I cut my reading time. It's given me insight about how much my books mean to me and how I want my reading experience to be fresh and memorable whenever I go back to rereading books. So lately, I've no care whether I write or dog-ear my books. Overall, it's FREAKING FUN. EXACTLY. it's EXCITING to read a book and see something you love and highlight it and write in the margins. 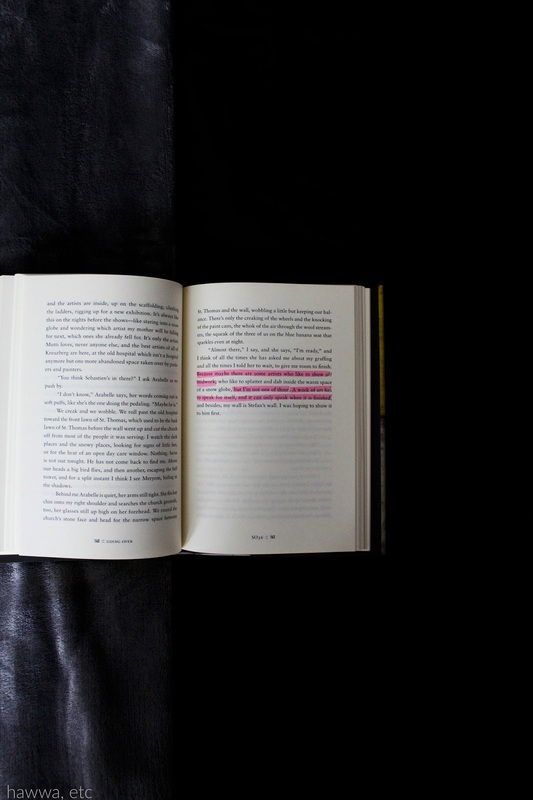 you move from feeling distant about a book (but still loving it) to feeling completely connected with it. Ahh that's clever -back when i was an organised human being i used to use post it notes and sticky tabs on review books so i wouldn't forget the immediate thoughts/emotions i felt over particular scenes or pieces of dialogue, which then made it much easier for me to sit down and review the book once i had time because even if i'd forgotten something specific it'd all be there. i should probably get back to that actually.. Exactly! And I think if it's a particular favourite you might make multiple notes on the same thing as you read it throughout time and i think that would be fascinating to see after maybe a year - then you'd get a real insight into your thoughts and emotions changing over a particular book or character. Thank you Holly! and yep, i think studying english does that to you. you get to delve so deeply into the author's or character's mind that you can't help but not keep things pristine and just write everything you're thinking, and not just because it'll help in the exam ahah. I agree with you though, I think i'd only feel compelled to write/highlight in books that mean a lot to me and i'm definitely keeping because they'd be the ones that mean the most to me. but maybe i'd still write down things in books i may one day donate but just perhaps on a post it note stuck between the pages of the book. ELIZABETH I WAS JUST THINKING I SHOULD DO THAT, and with exactly the same book! 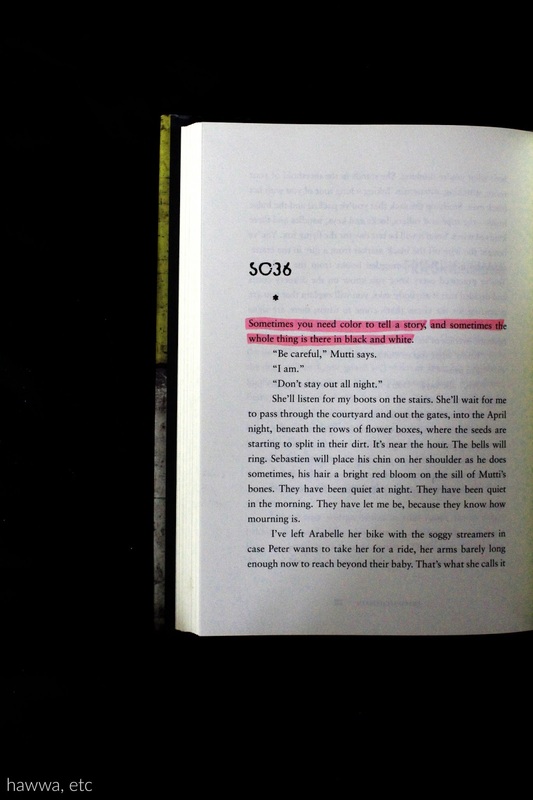 i really want an older and battered copy of the book thief to write and highlight all over. i actually feel automatically more inclined to write or highlight in already battered books because they already have character and also because it's less like the fear of making the first mark on a blank page with an older and more battered book compared to a completely pristine new book. Hahah agreed. It's both aesthetically pleasing for me to see a completely brand new books and a completely battered and written all over book - I just don't know which side is stronger yet! Same here though, I sometimes go to the charity shop and buy old books specifically to cut up for art..(but not very old books, only books that LOOK old..i could never bring myself to cut up antique books, i collect them though ahah. I think I'm soon to become a proud writing in books too Topaz. I completely understand the idea of leaving your own story withing a story through note making and highlighting - it's such a personal and therapeutic process and it's also so fascinating to see how other people have done the same to their own books. I HAVE SEEN THE LIGHT MAWA. And yeah, agreed, I think it's the overwhelming love for books that makes you think NO, NO ONE IS RUINING THESE. and yesss, college and especially studying english.. True - we would have been told off if we ever drew or wrote in books when we were younger. Hahah, highlighter is a commitment - i always hate when i highlight and the line is wonky!